Live or work in another county? 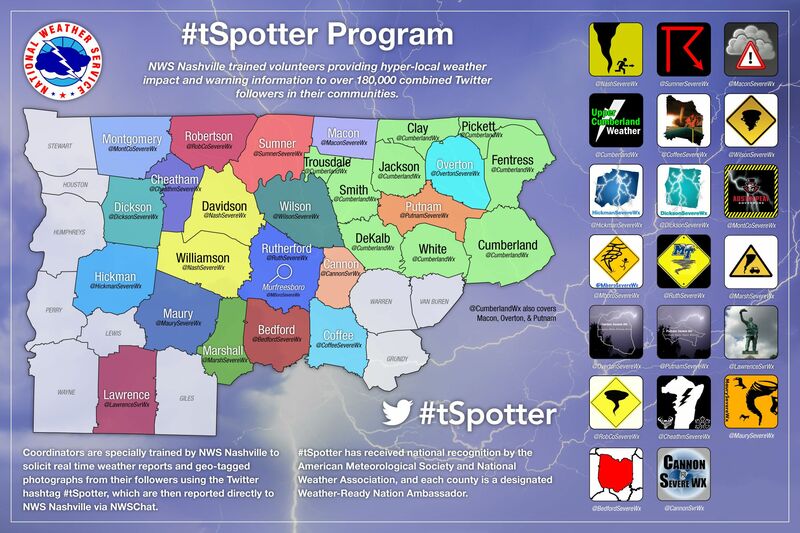 Be sure to follow their #tSpotter coordinator on Twitter. Below is a map of those on Twitter. We’ve also created a handy list on Twitter in which you can easily scan and select the counties important to you. Also, even if you don’t live or work in Nashville, Davidson County or Williamson County, follow @NashSevereWx. He is the one that started this for all of us! #tSpotter Coordinators on Twitter, list by @HickmanSevereWx.